Nearly 20 years ago, we took a family ski vacation to Mount Crested Butte, Colorado. The base of the resort sits at an elevation of 9,898 feet above mean sea level with a summit of 12,162 feet. The Dancing Doc ended up with severe altitude sickness including pulmonary edema and life threatening hypoxemia (his pulse oxygen saturation dropped to 50%). We evacuated the mountain by ambulance and flew home with Pat on oxygen. He was fine once we got back home. Although Atlanta boasts the highest altitude of any major city east of the Mississippi, it’s still only 1050 feet above sea level. Needless to say (pressurized airplane cabins notwithstanding) we make it a habit not to venture too high into the atmosphere so when it was announced that USA Dance National DanceSport Championships would be held in Orem Utah, naturally I panicked. You’d think The Dancing Doc would be the one to panic, given he’s the one who had the near-death experience. If you know us, however, you know I worry enough for both of us which allows him to remain blissfully calm at all times. Actually, even though it’s genetically impossible for me not to worry incessantly on his behalf (I’m Italian) he’s a pretty laid back guy by nature, which is probably how he’s been able to stick with me for so long. Anyway, I immediately checked the elevation at Orem, Utah (it’s 4770 feet) as well as the elevation for every other city in which we have ever danced. At 2030 feet above sea level, Las Vegas is the highest, but it’s still less than half as high as Orem, so I did what any self-respecting worry-wart would do and FREAKED OUT. With visions of The Doc collapsing during our spirited mambo routine dancing through my head, I entertained convincing him to forego Nationals this year, but only for a minute because even though I’m a worry-wart, I’m a competitive worry-wart. Instead I took it upon myself to find a way to simulate the conditions we’ll face at nearly 5000 feet above sea level. 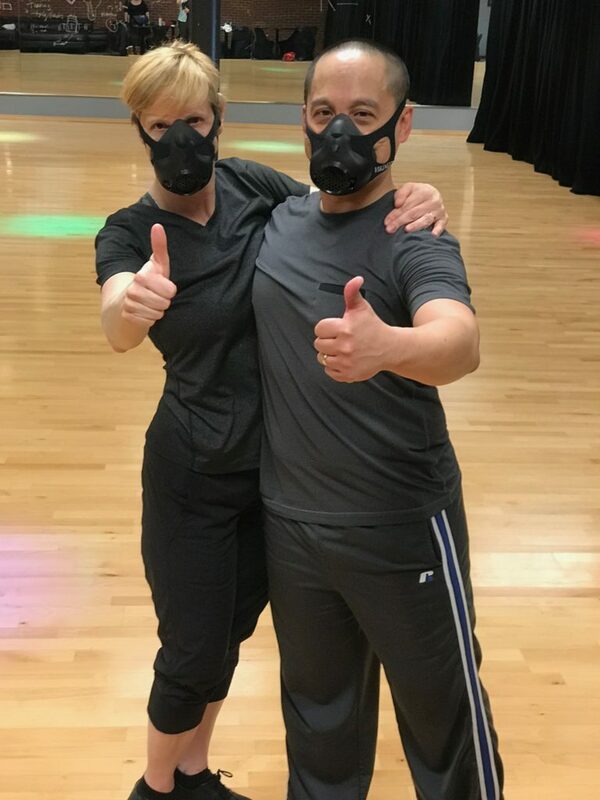 The Dancing Datocs sporting Viking O2 Restricting Training Masks. 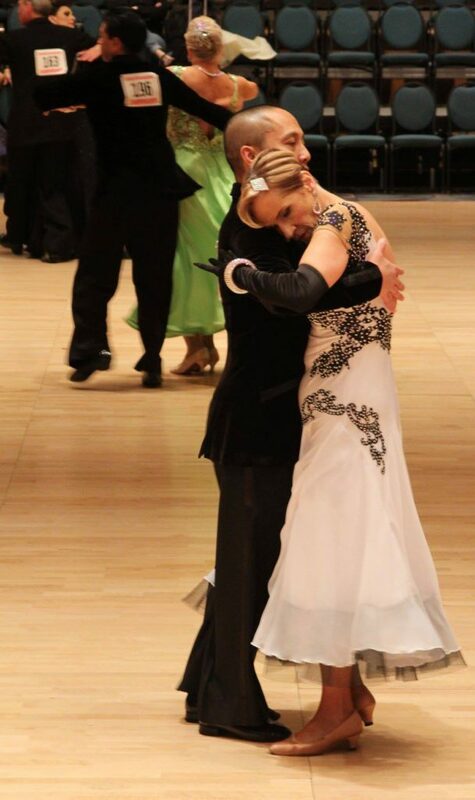 This entry was posted in The Dancing Housewife and tagged altitude sickness, elevation training, USA Dance National Dancesport Championships, Viking Training Masks by The Dancing Housewife. Bookmark the permalink.